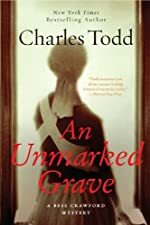 Synopsis (from the publisher): In the spring of 1918, the Spanish flu epidemic spreads, killing millions of soldiers and civilians across the globe. Overwhelmed by the constant flow of wounded soldiers coming from the French front, battlefield nurse Bess Crawford must now contend with hundreds of influenza patients as well. Working her father's connections in the military, Bess begins to piece together what little evidence she can find to unmask the elusive killer and see justice served.